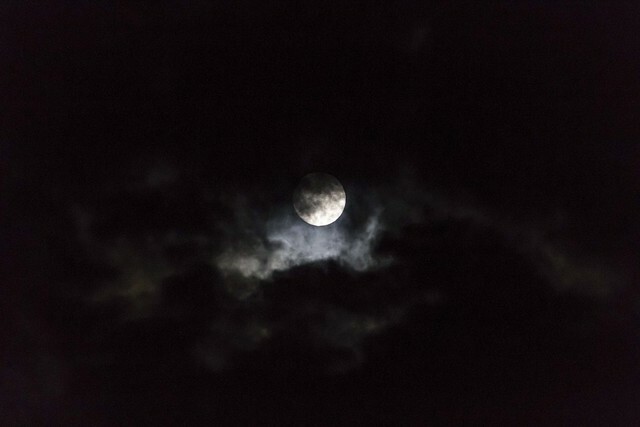 This night the moon was amazing. 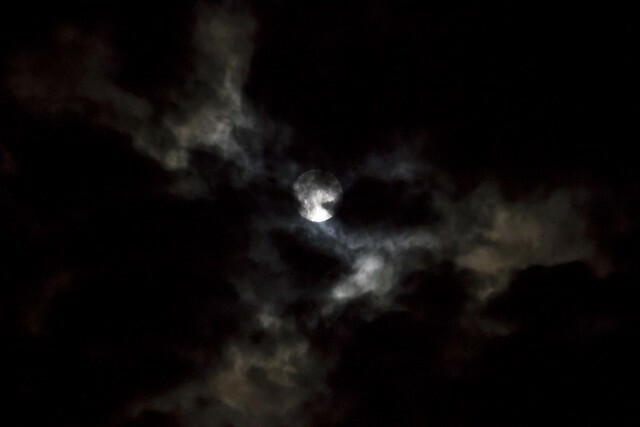 It kept hiding behind the clouds, but as I watched, the clouds would move out of the way and let the moon peek through. It was eerie and a little mysterious....it was the night before the rain came. "We love the night and its quiet; and there is no night that we love so well as that on which the moon is coffined in the clouds"